Early Age Spay & Neuter: In the past, pets were altered between 5-7 months of age, but now with modern anesthetic technology, there is no need to prolong spaying & neutering for medical reasons. Early age altering of pets between the ages of 6 and 14 weeks has been practiced in <?XML:NAMESPACE PREFIX = "ST1" />North America for 25 years and has been found to be safer for pets than waiting until they are older. Females have a lower chance of reproductive infections and cancers if spayed before their first "heat." Each cycle they experience increases their chances of illness greatly - as much as ten times each! In 1993, the AVMA (American Veterinarian Medical Association) House of Delegates voted to approve early age spay and neuter in dogs and cats in an effort to stem the overpopulation problem in these species. The ASV (Association of Shelter Veterinarians) support early age spay/neuter of dogs and cats: "...in addition to benefiting the individual patient, early age spay/neuter helps veterinarians to fight the single largest killer of dogs and cats: overpopulation and euthanasia of unwanted, homeless pets." Flathead Spay & Neuter Task Force offers monthly clinics for both cats and dogs. Surgery days are patterned after "day surgery" in hospitals. Dogs and cats are checked in, weighed (dogs) and placed in crates in their respective areas of the building. Each receive anesthesia and are shaved and scrubbed for surgery which is performed by one of the licensed veterinarians. After surgery they are taken to the recovery room for monitoring by 2-3 volunteers. Only after the patient is awake and stable is the owner contacted to pick up their pet. Flathead Spay & Neuter Task Force is the only non-profit spay and neuter clinic in Montana. Started in 1998, we provide a low-cost opportunity to spay and neuter pets and feral cats. We believe that feral (stray) cats deserve the same compassion provided to "pet cats", so in addition to the spay and neuter services, we have a program for vaccinating, adopting, housing and managing the feral cat colonies throughout the county. Our services are available to help trap, neuter and return the cats, instead of having them go to Animal Control for probable euthanasia. Our dedicated staff provides skilled and compassionate attention to every animal they have the honor of caring for. We proudly state that "We Love Animals!" and it shows in the compassion given to each one of them. Fact: The truth is that most pets get fat and lazy because their owners feed them too much and don't give them enough exercise. Myth: It's better to have one litter first. Fact: Medical evidence indicates just the opposite. Females spayed before their first heat are typically healthier. Myth: My children should experience the miracle of birth. Fact: Even if children are able to see a pet give birth- which is unlikely since it usually occurs at night and in seclusion - the lesson they will really learn is that animals can be created and discarded as it suits adults. Instead it should be explained to children that the real miracle is life and that preventing the birth of some pets can save the lives of others. Myth: I should breed my pet because he's a purebred. 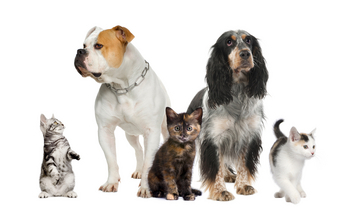 Fact: At least one out of every four pets brought to animal shelters around the country are purebred. 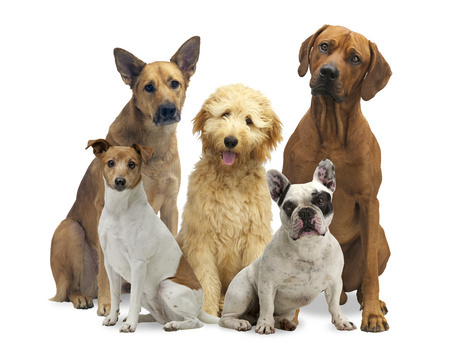 There are just too many dogs and cats - mixed and purebred. Fact: Spaying or neutering does not affect a dog's natural instinct to protect home and family. Myth: I don't want my dog or cat to feel less of a male. Fact: Pets don't have any concept of sexual identity or ego. Neutering will not change a pet's basic personality. He doesn't suffer any kind of emotional reaction or identity crisis when neutered. Any changes resulting from altering are generally positive like less aggression, spraying, and straying from home to find a mate. Myth: My dog or cat is so special I want a puppy or kitten just like her. Fact: A dog or cat may be a great pet, but that doesn't mean her offspring will be carbon copies. Myth: I'll find good homes for all of the puppies or kittens. Fact: Only 1 in 5 puppies and kittens stay in their original home for its natural lifetime. The remaining 4 are abandoned to the streets or end up in a shelter. If you are lucky to find homes for all of your pet's litter, it means there are fewer homes for all of the dogs and cats in shelters who need good homes too. Myth: It's too expensive to have my pet spayed or neutered. Fact: Spaying or neutering is a small (one-time) price to pay for all of the benefits received. It's a bargain compared to the cost of having a litter and ensuring the health of the mother and litter, two months of pregnancy and another two months until the litter is weaned which can add up to significant veterinary bills and food costs. More importantly, it enhances your pet's health and prevents the births of more unwanted pets. 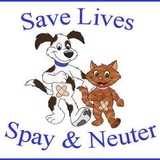 But, when any cost is an issue, that's where The Flathead Spay & Neuter Task Force comes in! Because we are a non-profit organization staffed by volunteers, we can offer low-cost surgeries for pets and feral cats. We actively work at fundraising and obtaining grants to be able to provide affordable spay and neuter services to anyone who needs it.